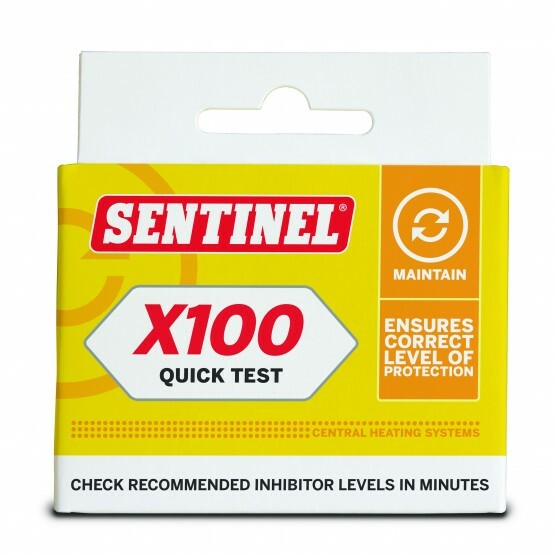 The Sentinel X100 Test Kit is a simple way to check that a system treated with Sentinel X100 Inhibitor has been dosed to the correct level for proper protection against limescale and corrosion, two of the main culprits of system issues and breakdown. Limescale and corrosion are the two main causes of central heating inefficiency, leading to radiator cold spots, boiler inefficiency, a noisy system and a multitude of other problems. Once a clean system has been treated with Sentinel X100 Inhibitor, it is advisable to check the dosage is at a sufficient level for proper protection. This reassurance can easily be achieved with our disposable Sentinel X100 Quick Test Kit. Containing everything you need to conduct two tests of the system water, this kit is ideal for installers or engineers who want to quickly confirm that their customers’ central heating systems are properly protected against scale and corrosion. 1. If Sentinel X100 Inhibitor has just been added to the central heating system, allow it to circulate for at least 15 minutes before performing the test so that the product is distributed evenly throughout the entire circuit. 2. Add system water to the tube, filling to a level just above the 5ml mark. 3. Place a no. 1 tablet and a no. 2 tablet into the test tube. 4. Cap the tube and shake vigorously to dissolve. 5. Wait 10 minutes, shaking the tube from time to time. 6. Hold the tube horizontally over the ‘White Band’ and compare to the ‘Standard’ yellow band. 7. If the colour is deeper than or the same depth as the ‘Standard’ yellow band, the system treatment is satisfactory. 8. If the colour is lighter, add more Sentinel X100 Inhibitor to the system, allow to circulate fully and repeat the test. How does a Sentinel X100 Quick Test Kit work? The system in question is over 20 years old; is it safe to use a Sentinel X100 Quick Test Kit? What are the next steps after using a Sentinel X100 Quick Test Kit? 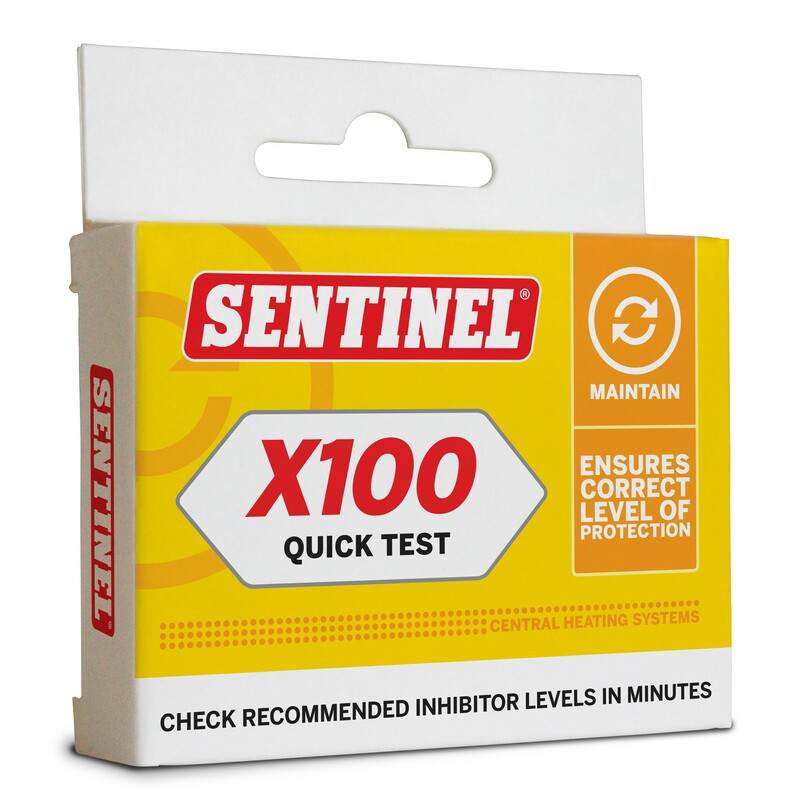 What problem does Sentinel X100 Quick Test Kit address? When should I use Sentinel X100 Quick Test Kit?